Rules And Regulations - A Must Read! 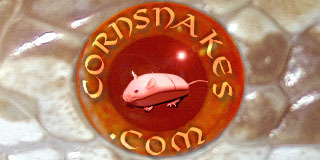 CS.com Guide to Corn Snake Cultivars & Cultigens A collective field guide to the cultivars and cultigens (morphs) of corn snakes. I think anyone can make a thread. You can use the ones already in place as a guide. Actually, only the moderators can create a new thread in this section. It has been that way since it was set up. I believe that was done to keep the structure from getting chaotic by having too many people using their own format for each thread description. Obviously this has languished considerably, so you all tell me if you want it to become more active and how you would like it to be done. If you all just want anyone to set up a new thread, then I'm game. At this point, what would be worse? Not used at all, or used in a haphazard manner? Well, with no input offered, I opened up this section to be just like any other forum on this site. All registered members can create new threads and replies at will. I figure it can't be any worse than it is now concerning utilization. I decided to try to retrieve as many of the cultivar descriptions that I can find from my old SerpenCo.com website and post them here. Might be some interesting history for some folks, and I would hate to kick the bucket before posting this stuff. Rich, *thank you* for posting all these! It's fascinating to read the history behind the morphs. I think I have found most of them. Some I had to use the "wayback machine" to recover. Still haven't found anything I may have written on the "UltraHypos" however. And I am puzzled about the conflicting info I have written about the source of the Cinder/Ashy gene. I'm *pretty sure* the guy I mentioned at the Birmingham reptile show is accurate, since that is what I remember now. But it is what it is, I guess. Not that it would make much difference at this late date. No telling where that animal was actually caught on the Florida Keys, and no way to even ask anyone about it. I never knew the guy's name at the Birmingham show. I guess except for obvious multi-gene combinations, I've pretty much posted all I need to post about sources of some of the root genetic lines.